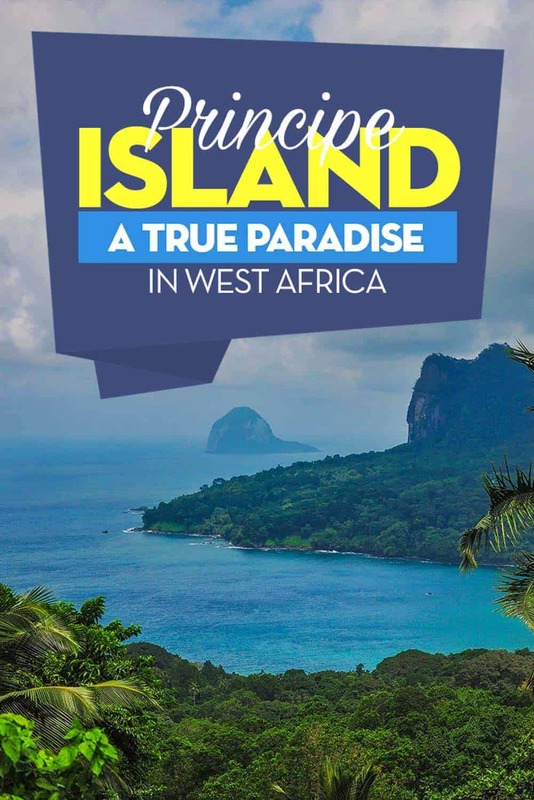 is the smallest and least developed of the two islands that make up the country Sao Tome & Principe. Check This Small Video I Made From Principe. was the first place that Einstein’s Theory of Relativity was tested and proven in 1919 by a British astrophysicist Sir Arthur Stanley Eddington. He travelled to the island of Príncipe to find the perfect location from which to view a predicted eclipse. 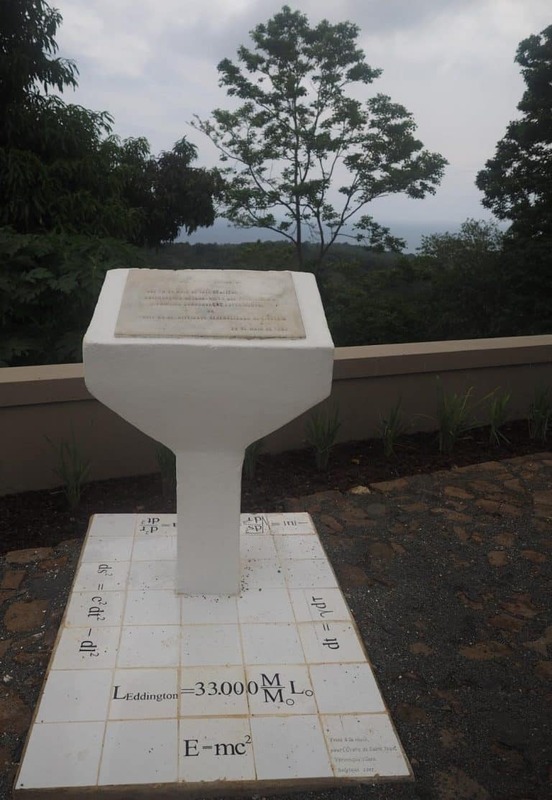 Roça Sundy Cocoa Plantation the place Einstein’s Theory of Relativity. An information board is telling you the history. The exact spot where the British Astrophysicist Sir Arthur Stanley Eddington proved the theory. Even though 100 years have gone and left Principe alone, actually, the southern part of Principe is now a UNESCO Biosphere Reserve, it´s home to no more than three spice of turtles, including being a hatching spot for the leatherback. As well as this Principe is now home to what is considered to be one of the best chocolates in the world, Claudio Corallo. Reaching Principe is not the easiest thing in the world, there is only one flight a day from the main island of Sao Tome, but if you want to do it like the locals, will you have to take a cargo boat. However, during my visit, I had to wait over a week because of the rough sea. Taking the local boat might not be safe. So taking the flight is by far the best option. The whole Principe Airport. One flight a day. Principe only has one town, Santo Antonio often called the smallest Town in the world. So if you’re not staying on one of the four expensive resorts in the northern part of the island, Santo Antonio is the only other place that offers accommodation on Principe. Watching European football at a local bar. Santo Antonio is also the only place with something close to a supermarket, a local market, a post office, a few bars and restaurants (that seem to be open only when they feel like it). There´s no public transportation around the Island, but it’s still easy to get around, Santo Antonio is easy to walk around, after all, it´s the smallest town in the world. If you want to visit some of the remote villages and beaches around the Island, simply head to the local market to hire a local motorbike from a local, or just ask a local to drive you, they are happy to for a small fee. But your best option is to go to the small Government Agriculture and Botanical office on the way to the local market and ask for Jose that works there, his English is very good (for Sao Tome & Principe standard), and he will be happy to drive you all over the island on the back of his motorbike for a very reasonable fee. The baseball cap island of the southeastern part of Principe. He´s very knowledgeable about the local fauna on the island, and he knows “everyone, so you will be able to visit remote communities, viewpoints, and places that you will never be able to find on your own. I can´t recommend him enough. Like already mentioned in my Sao Tome & Principe general post, this country is one of, if not the cleanest country I ever been to. 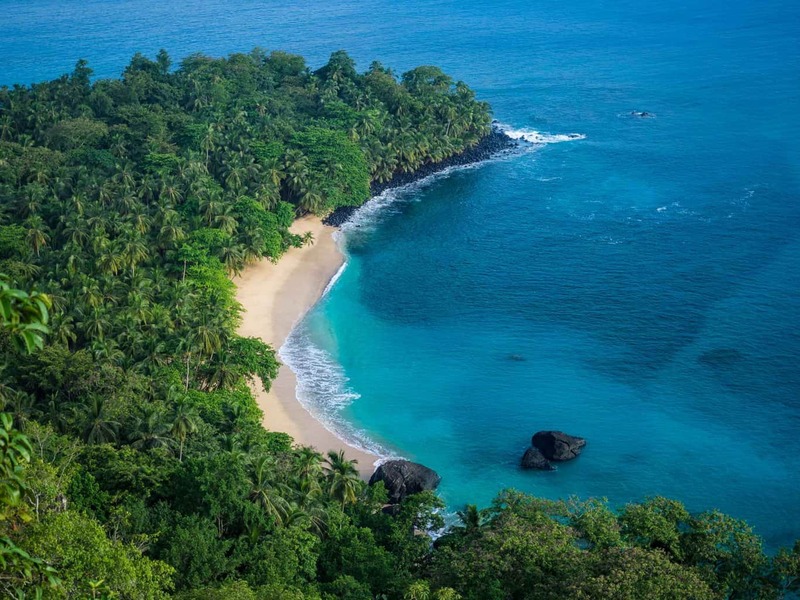 However, Principe has taken it even a step further than the main island of Sao Tome. Here on Principe, the locals recycle everything! Might be the only place in Africa? 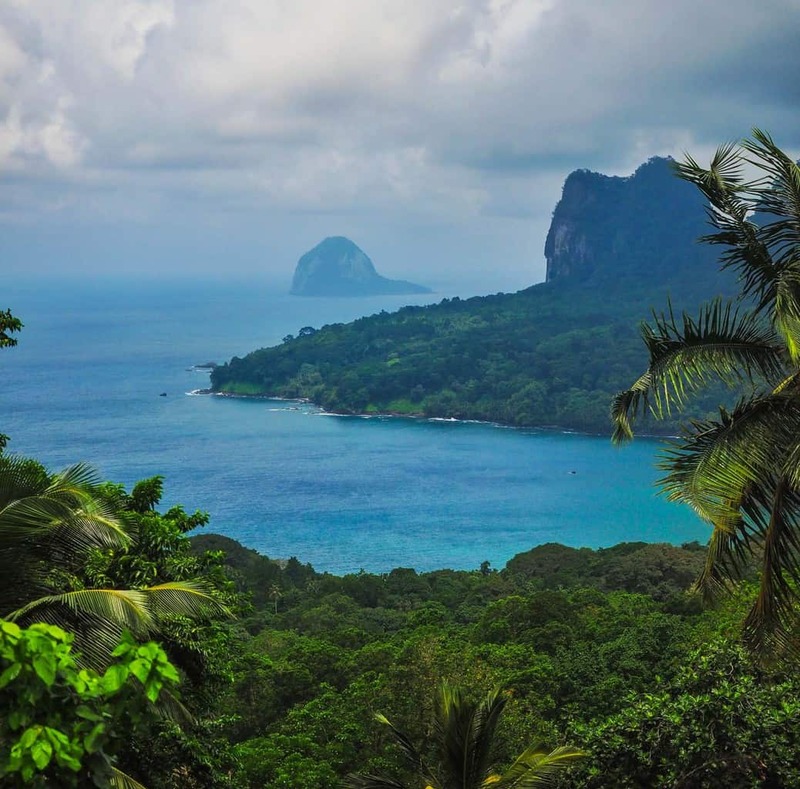 And there´s a “Zero plastic on Principe” campaign on the island, where the goal is to make the island of Principe plastic-free by 2020 while also improving recycling of organic trash and supporting a sustainable economy in the biosphere reserve. The locals are very proud of it! While locals can trade 50 old plastic bottles for a stainless steel drinking bottle, Tourists are also encouraged to buy a stainless steel drinking bottle that you can refill for free with clean drinking water from 13 fresh water fountains installed in public spaces around the island. These include schools, markets, public administration buildings and the airport. 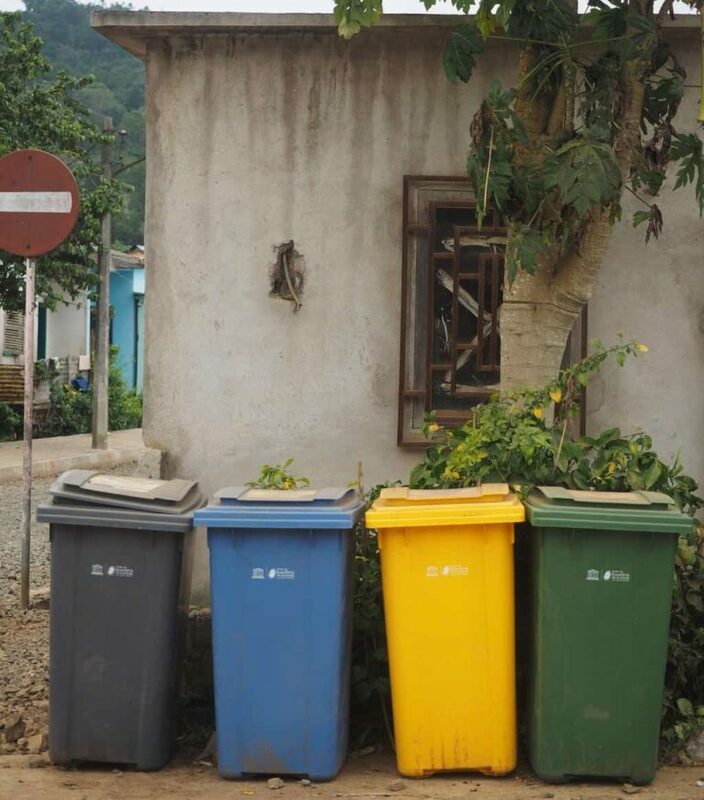 All over the island from the most remote communities, Santo Antonio to the Resorts, you will come across trash cans in 4 different colours, one for each kind of material. And the locals do use them! The locals on Principe recycle. 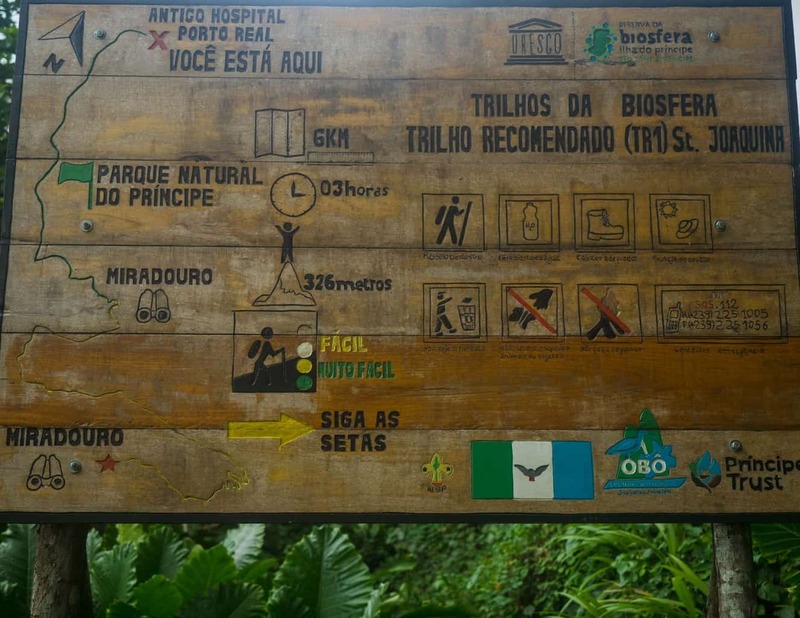 The local government on Principe has also done a significant effort when it comes to hiking, while some of the hikes require a guide, there is also rumored other hikes around the island. The government have put up signs and marked trails around the island. I Saw at least six sings like this, and according to Jose, they are working on more. One of many hikes on Principe. 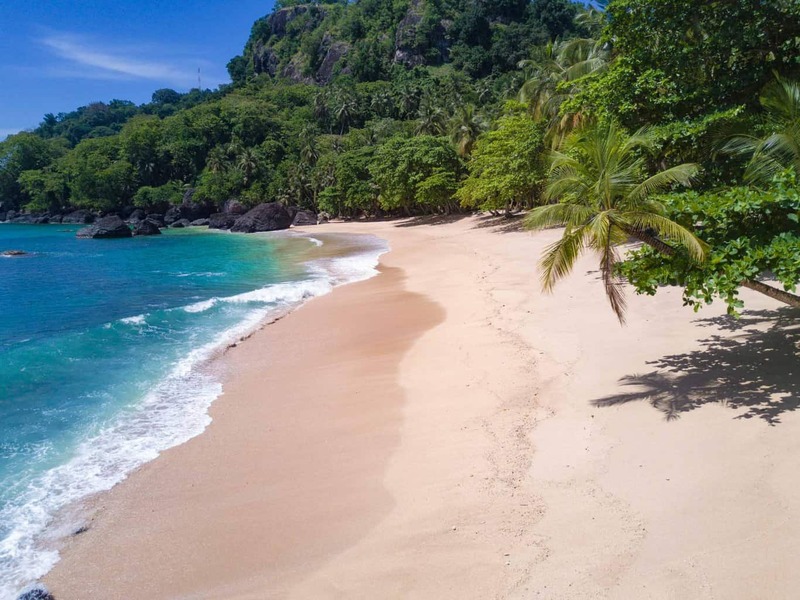 But if you’re not on Principe for the hiking, the easiest thing to do is just relax on one of the world-class beaches on the northern part of the island. The most famous beach on the island is the Banana Beach that these days belong to the Belo Monte Resort (another Stunning cocoa plantation now a hotel), the beach was used in Bacardi Rum commercial some years ago. Can´t complain about the beach here, no garbage, no annoying salesmen. Just paradise. Money: Like on the main island is there no ATM´S here, so you will have to carry cash with you. All the big resorts offer payment by PayPal or bank transfer to their bank account in Portugal or in Euro/USD. I couldn’t find any money exchangers in Santo Antonio. So you better exchange money on Sao Tome before coming here. Getting Here: The only airline that flies to Principe is STP Airways. 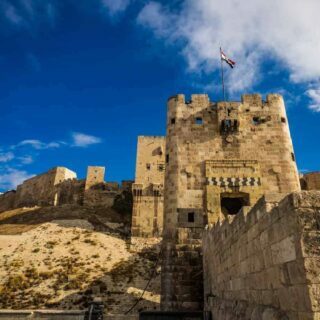 A return ticket will cost you around 110 Euro if booked well in advance if booked only a few days in advance or from the local office will it cost around 220 Euro. NB! It´s cheaper to book the ticket from the Portuguese version of the web page than the English. There´s no set schedule for the boat, so you will have to ask around the harbour office for the next departure. 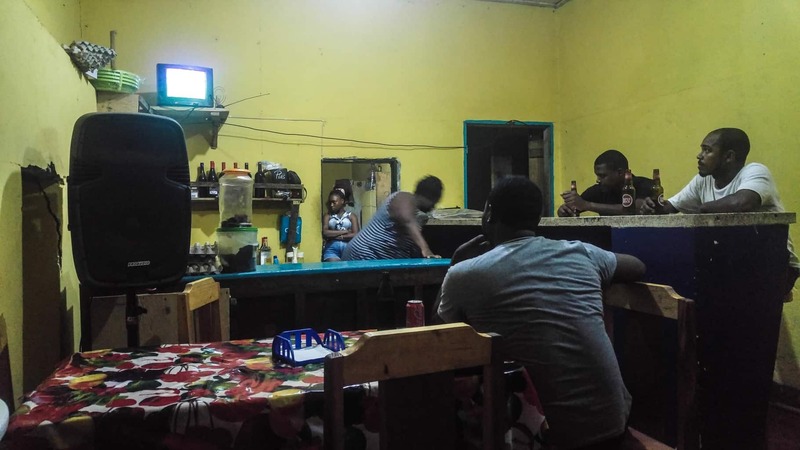 Accommodation: Most people stay in one of the resorts here, Belo Monte, Bom Bom (the highest standard), Roca Sundy (The Historical one) or Makaria Lodge (the cheapest one), all of the resorts includes breakfast and dinner in the rate. All the resorts except Roca Sunday have private beaches and a swimming pool. The all offer free pickup and drop off at the airport too. 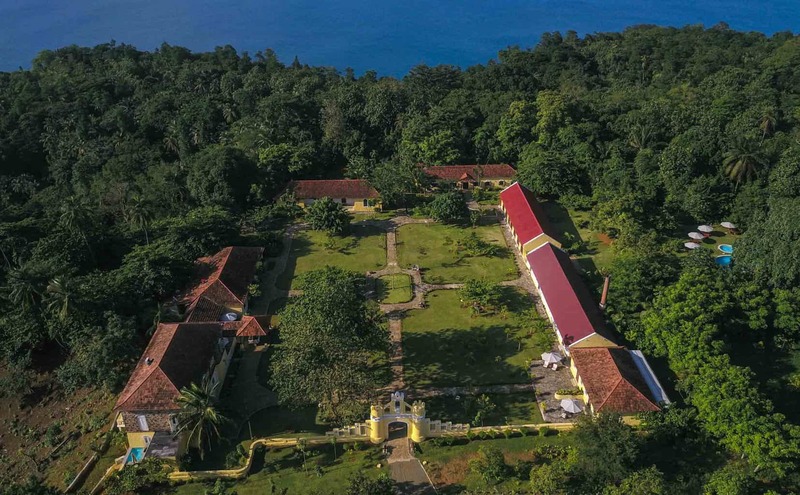 The Beautiful Belo Monte Resort, once a cocoa plantation. If you want to stay at Santo Antonio town, the D&D Delmata is your best and only? Option. (according to the Bradt Guide there should be 4/5 other hotels/guesthouses in the town, but they all seemed closed down during my visit. Activites: Belo Monte Resort offers Suba Diving and kayaking with an English speaking guide, Bom Bom and Makaria Lodge offer Paddle Boarding, all the resorts on the beach offer free use of snorkelling gear. All the resorts can arrange a local guide for hikes around the island. This looks like a truly untouched destination. I have to say that its remoteness and lack of tourist infrastructure make it a really appealing destination in my books. You have placed it on my Bucket List! Hi Christian, thank you for your great write up. 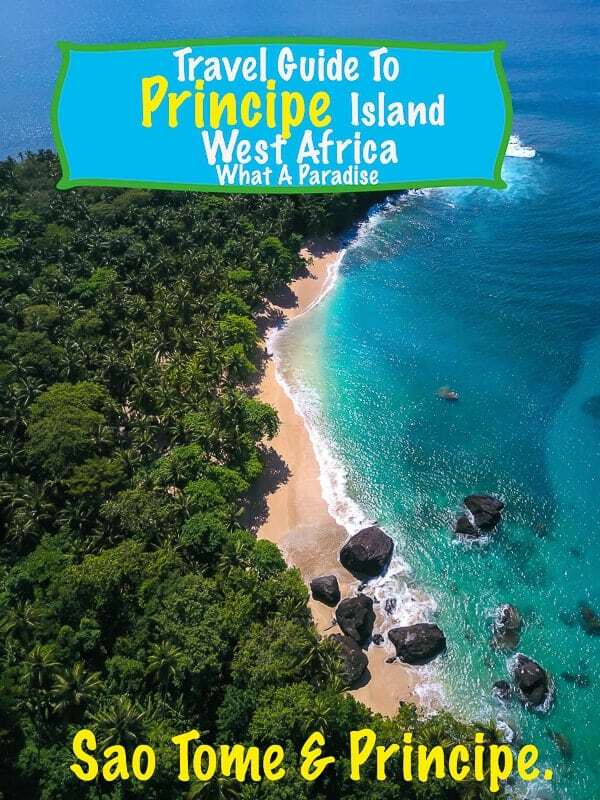 We would like to visit both Sao Tome and Prinicpe – how long would your recommend staying in Sao Tome and how long would you recommend staying in Principe? We would like to do some hiking, some snorkling, some relaxing on the beach. We were thinking on going to Sao Tome e Principe in November. But i m wondering if the hotels are open and everthing is working normally during this part of the year? 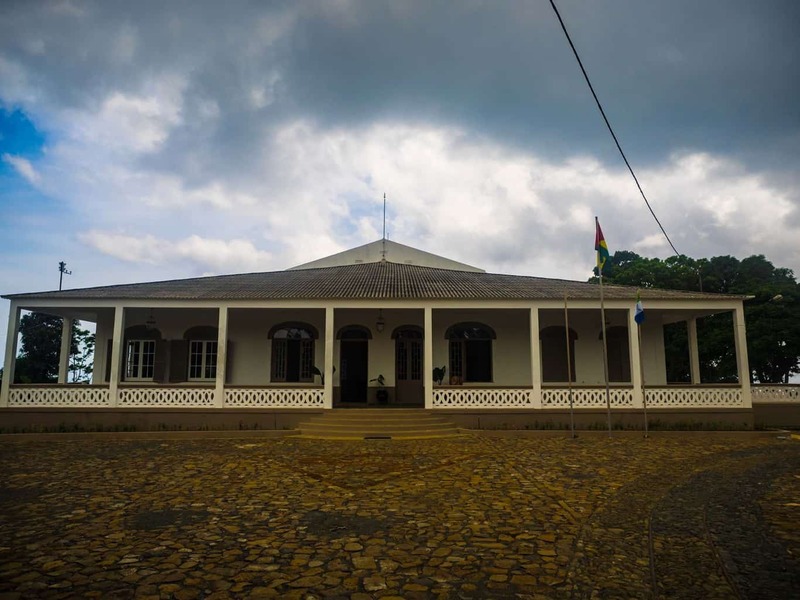 Everything in Sao Tome is working as normal in November and all hotels will be open as normal. great informations, you help me a lot! I want to go next january there and will flight from ghana to sao tome. I’m thinking bring my surfboard. Do you know are there any good spots for surfing?